Liquid dispersions (emulsions, suspensions, foams) are playing an important role for various industries. Their properties are often very difficult to predict or to be influenced due to their empirical formulation and the lack of information on the specific or colloidal conditions. 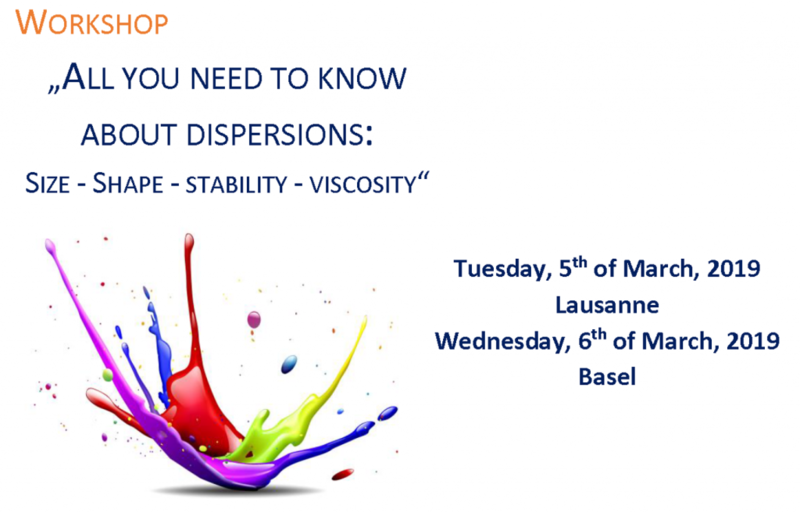 The aim of this workshop is to summarize the most important and basic properties of liquid dispersions and to present current measurement techniques to characterize these systems sufficiently. Please find the registration form here. An early registration assures you the workshop participation. Do not hesitate to contact us in case of questions.